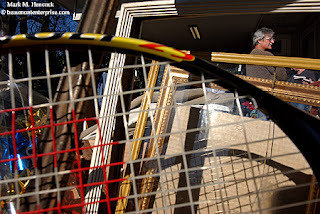 Chuck Wright of Beaumont hunts for bargains during a garage sale in Beaumont on Saturday, March 17, 2007. Janna Fulbright talks with buyers during her garage sale in Beaumont. Spring makes a good time for cleaning out clutter. It also provides comfortable weather for both garage sellers and buyers. Garage sales are one of the best places to pick up used photographic equipment. If a photographer is unloading their equipment at a garage sale, it's probably priced below anyone's wildest dreams. Estate sales typically have better quality equipment, but it also tends to cost more. I've picked up most of my antique cameras at garage sales along with a nice copy stand and various other items. It takes a little digging to find the gems, but most sales have something of interest to PJs. The trick for PJs isn't to look at the items as what they are. Instead, look for items similar to photographic equipment. For example, I picked up some lightweight music stands many years ago. To me, they were small, emergency light stands and fill-card stands. However, they only cost about $3 each and take half the space. When checking out a garage sale, it's a good idea to immediately ask the seller if they have any photographic equipment for sale. They'll know where it's located. They may also offer some equipment that isn't on display. Not too many folks put a studio strobe system or entire darkroom in a garage sale because they know most people A) don't know what it is B) wouldn't know how to use the equipment C) aren't willing to pay a fraction of what it's worth. Another good place to find bargains is pawn shops. As I've mentioned before, my first SLR camera rig came from a pawn shop. The camera (a Nikon FM) still works, and I still carry the manual 50mm lens I got with it. Later the same year, I missed an opportunity that I'm still kicking myself about. The same pawn shop had a good condition manual Nikon 600mm f/4 lens (with the steel reinforced case) for $500. I said I'm still kicking myself. On the good side, I got a Nikon 100mm f/2.8 for $99 and this groovy four-lens, 3D, 2-frame, point-and-shoot camera for my collection at other pawn shops. Because photography is the No. 1 hobby, there's always going to be someone getting rid of decent equipment. They're either selling it because they've lost interest, need money or upgraded and no longer need the older equipment. In all three cases, the buying PJ is in a great position and cash talks loudest. Lamar's Brian Lloyd (No. 2, top) leaps over UT Arlington's Kyle Rudy (No. 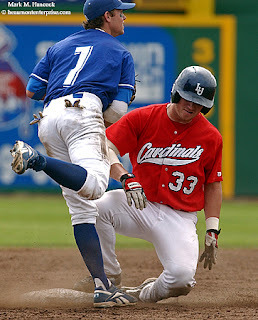 2, bottom) while finishing a double play during a baseball game at Lamar University in Beaumont on Sunday, March 18, 2007. Lamar won the game 5-0 and the series 3-0. Lamar's Tylor Prudhomme (No. 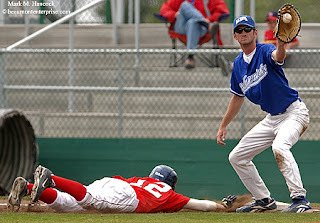 12, left) dives safely back to first base as UT Arlington's David McLeod (No. 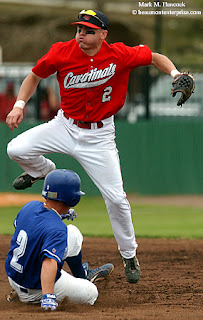 5, right) catches the ball during a baseball game at Lamar University. UT Arlington's Daniel Rieder (No. 7, left) gets the out on Lamar's Michael Ambort (No. 33, right) during a baseball game at Lamar University. 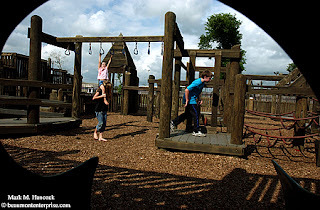 Vidorians Bree Smith, 10, (bottom, left) gives Kaylee Caskey, 4, a boost while Alex Smith, 12, (right) runs to explore the Lions' Den playground at Orange Lions City Park in Orange on Tuesday, March 27, 2007. 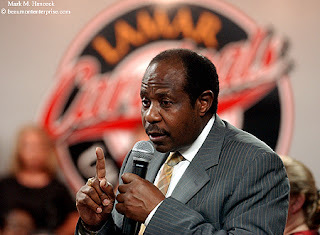 Paul Rusesabagina, whose actions saved more than 1,200 people and inspired the movie "Hotel Rwanda ," speaks with students during a question-and-answer meeting in the Montagne Center at Lamar University in Beaumont on Monday, March 26, 2007. Fayrouz also went and was impressed by Rusesabagina's story and message. Please read, "Meeting The Real Hero of Hotel Rwanda." Normally, if there are a lot of e-mails on the NPPA-L list, there's a big problem of concern to all PJs. Today, it was Superman. Specifically the Superman Returns Game, which promotes an upcoming movie by the same name. The player is Jimmy Olson, The Daily Planet's "star photographer." The player uses a camera to photograph Superman as he flies through different cities. By using the plus (+) key to zoom in for a closer shot, the player gets extra points. The goal is to time photos to include most or all of Superman or at least a tight shot of his face. However, composition and background don't seem to matter much. So, if I haven't wasted enough time for y'all, here's something else. I didn't do too well. I only got 135, but I didn't play very long. Paul W Gillespie got 149, so I think that's the bar for y'all. Wildcatters goaltender Matt Yeats saves a shot from Augusta's Shane Hynes (No. 14, right) during a ECHL hockey game at Ford Park in Beaumont on Saturday, March 17, 2007. Yes, that's refraction from the top of the protective glass. It's kind of cool though. Wildcatters' Ben Thomson (No. 94, top) looks to pass during a ECHL hockey game against Augusta at Ford Park. Thomson, who is in his rookie season, recently came from the Houston Aeros. Augusta goaltender Dave McKee (No. 30, bottom) blocks the shot of Wildcatters' Olivier Proulx (No. 14, left) as Eric Lundberg (No. 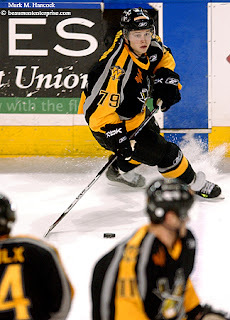 36, right) tries to stop the play during a ECHL hockey game. And you're waiting for what? Many PJs were waiting to make the conversion to video. Since only super-low-res videos (like on YouTube) have any real-time streaming posibilities, some may have waited to learn the new technologies. The chipset can move data at 160G bits by representing information as light pulses instead of electrons and could be used for both corporate and consumer applications as soon as 2010, IBM said. End result: pro PJs have about three years left to learn and perfect video to a "pro" level. On the still side, this application means we could deliver entire take, high-res images to our magazine clients in less time than it would take to call FedEx to pick up a CD. Considering how small these chips are for the punch and the CMOS integration, I'm expecting a massive leap in DVR technology within a year. Consequently, the next generation DVR should be up to current still camera technology levels. Next, we need a new, compact way to store all this information. I'm certain it's in the works as well. Lumberton's Wes Brackin (No. 4, left) runs into the kick of Central's Juan Cardenas (No. 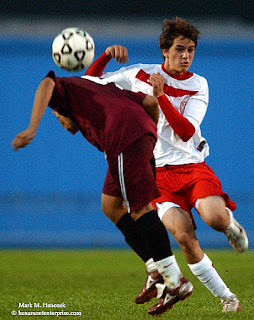 8, right) during a high school soccer game at Lumberton High School in Lumberton on Tuesday, March 20, 2007. Lumberton won the game 2-1 and handed Central its first loss of the season. Lumberton's Taylor Granato (No. 6, right) connects an elbow to the head of Central's Ernesto Alvarado (No. 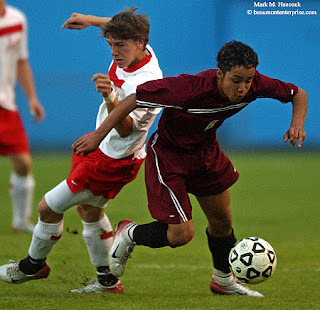 12, left) during a high school soccer game at Lumberton High School. Both teams end regular season at 18-1 and advance into the playoffs. Lumberton's Mark Brackin (No. 11, left) loses the ball to Central's Juan Cardenas (No. 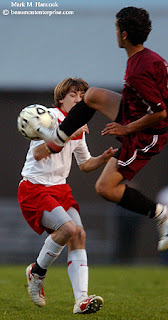 8, right) during a high school soccer game at Lumberton High School. Lumberton earned a first round bye with their win. Please read, "Lumberton nips Central" by Johnnie Walters. 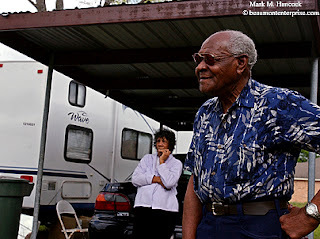 Joseph (right) and Ella Gallien (left) talk with a daughter outside a FEMA-provided trailer on their property in Beaumont on Tuesday, March 20, 2007. Beaumont recently granted a 6-month extension for residents to live in trailers on properties without adequate housing, which is against city ordinance. The 40-year Beaumont residents had raised 13 children in their home. 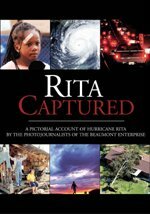 Hurricane Rita completely destroyed the home in one day. The city condemned the home and razed it, however the Galliens had no insurance and are unsure about their future. Carnival goers scream as they ride the Power Surge in the parking lot at Parkdale Mall in Beaumont on Thursday, March 22, 2007. 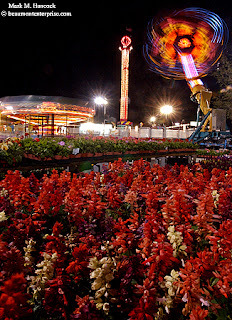 Flowers sleep silently as carnival goers scream on rides at a carnival in the parking lot of Parkdale Mall in Beaumont. 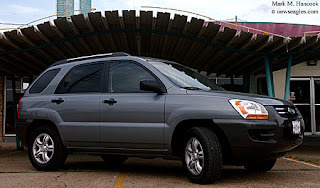 Mark's new 2007 Kia Sportage makes a perfect gray card at the former Pig Stand in Beaumont on Friday, March 30, 2007. UPDATE: As y'all can tell, I tested my gray card theory on the new Sportage and it made a perfect exposure. I double checked it against a meter and a palm exposure and all exposures matched. So, yes, it's Zone V and a gray card on wheels. I got Flash, my previous truck, in 2000. He was the first brand-spankin'-new auto I had ever owned. He replaced my Shutter Bug (a '68 - also a very tough critter). Flash was honestly the best little truck I've ever owned, but he's had a hard life. He's been in three tornadoes (literally inside one), two hurricanes (again, literally inside one), at least five major floods, some forest fires and a few hunts for escaped prisoners. After more than 181,000 miles, it was time for him to go to pasture. Good luck little fella, you'll be missed. The new one doesn't have a name yet, but it keeps suggesting "Storm." It's 18 percent gray (Zone V). So, it should blend into the background if it ever ends up in the background of an image. I think I might even be able to use it as a gray card, but I'll need to test it a few times. When I was finalizing the paperwork, I asked the dealer if they had a light cherry picker they could attach to it. He looked at me like I was crazy. Then, I think he remembered what I do for a living and said it would be a great idea, and I could make a fortune if I developed one. Till then, I'm excited about all the places I'll go. It's like a new box of Crayons. Some of the cool PJ-related features include a dedicated DC power outlet, the passenger seat folds into a laptop table, the back window opens separate from the door (think lightning photos without frying in a puddle), cruise control, CD player with equalizer, and a bunch of other really cool features. They didn't offer the sun roof option they show on the Web site. Otherwise, I'd be in BIG trouble fast (it's got cruise control and stability control, so I could shoot from the top and drive with one foot). What's the last thing a Texan said before he died? The one down side is it doesn't turn as tightly as Flash. I'll adjust. 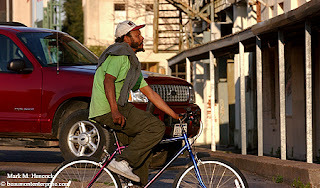 Hillary Gallo rides his bike in downtown Beaumont on Wednesday, March 7, 2007. He said he and his wife have been homeless for the last four months. Critique of the day: Nathan G – Pro. Nathan G (Senthil Nathan) requests a professional critique of the images in his To get a MR. Title, Kulasai - Dasara or Part of Bachelor Life Flickr galleries. There is a comment section, or please e-mail the critique to him. There is no deadline. Nathan G stated (sic), "Though i'm doing photography for more than 3 years, i've become a freelance photographer recently , with one publication in Esquire Russia edition and Himal South Asian magazine which willbe available by April month edition. Other than this still i'm looking for some recognition in this field. "People in Internet are generally not providing proper critiques. Either they dont understand or sometime if i provide +ve comments to their work , then only they turned up to my site and do the same which i dont like totally..I'm interested to get both positive and negative critiques from all of your pro photographers who have vast experience in this field.. It will surely help me to analyse more on my work." Please review Give and get a critique before giving a critique. 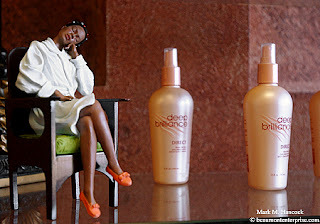 A figurine lounges by hair products at Touches by D.L. in Port Arthur on Wednesday, Feb. 21, 2007. 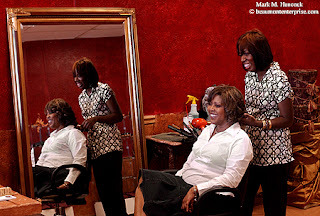 Dwonia Laday, owner of Touches by D.L., works on the hair of Pat Downing of Port Arthur at the salon in Port Arthur. Lamar's Brian Sisk (No. 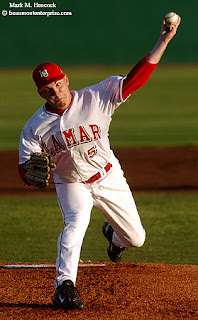 5) pitches during a college baseball game against UT Arlington at Lamar University in Beaumont on Friday, March 16, 2007. Lamar won the game. 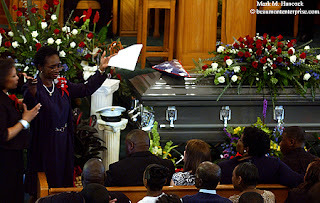 Sandra Rylander Martin encourages attendees to sing during the funeral service for her son, Brandon Keith Rylander, at McKinley Avenue Baptist Church in Beaumont on Wednesday, March 14, 2007. Brandon Rylander, a former Marine, was killed March 7 in a head-on collision with a driver who was fleeing police. 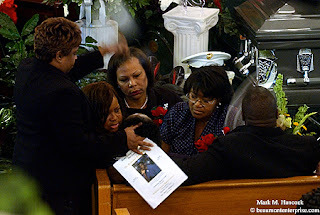 Friends and family assist Sandra Rylander Martin after she collapsed during the funeral service for her son, Brandon Keith Rylander, at McKinley Avenue Baptist Church in Beaumont. Rylander's stepfather is Beaumont police officer James Martin. Please read Family, friends of former Marine applaud his life by Dee Dixon. 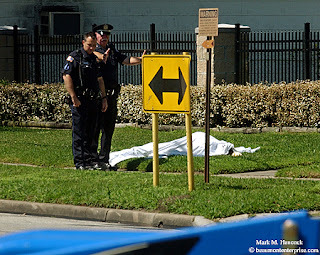 Evidence remains marked as Beamont police investigate a murder-suicide near the intersection of Euclid and Park streets in Beaumont on Thursday, March 15, 2007. 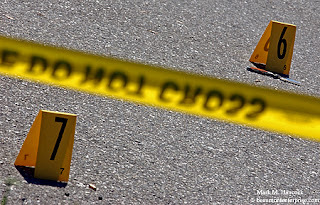 Police said the shooting was an act of domestic violence. Witnesses said James Ray "Bubba" Dean chased Michele Dean, his wife, down the street and shot her. She later died at Christus St. Elizabeth Hospital. He also shot and damaged a city vehicle in the process. Then, he shot and killed himself. Beamont police investigate a murder-suicide near the body of James Ray "Bubba" Dean on Harriot Street near Park Street in Beaumont. He had a criminal record including convictions for narcotics, family violence and driving while intoxicated. Michael Wilkerson, the sanitation worker who tried to save the woman, was shaken up but unharmed after the shooting, police said. Please read "Gunshots end stormy marriage" by Sarah Moore. 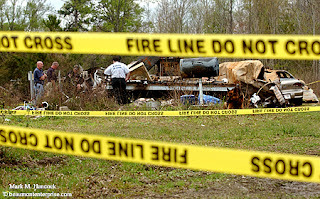 Officials investigate a fatal home fire in Deweyville on Tuesday, March 13, 2007. 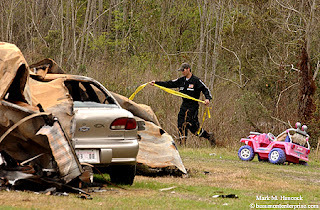 The fire, which took place on Friday, killed James Montgomery and his girlfriend's 21-month-old girl daughter. 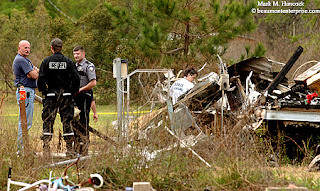 Deweyville fire chief Mark McCall (left) talks with other officials during an investigation a fatal home fire in Deweyville. The child, Trinity Hantz, had been removed from the home and placed with nearby relatives by Child Protective Services. The relatives returned Trinity to her mother against CPS orders the day before the fire. Deweyville firefighter Justin McCullough removes fire line tape after officials investigated a fatal home fire in Deweyville. CPS is filing a civil action against the relatives for neglectful supervision. The Texas fire marshal's office is expected to release their findings in two weeks. Please read "Fire victim wasn't supposed to be in home" by Ryan Myers. 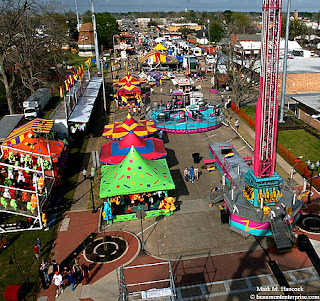 Visitors take rides and sample food on the midway during the annual Nederland Heritage Festival in Nederland on Tuesday, March 13, 2007. 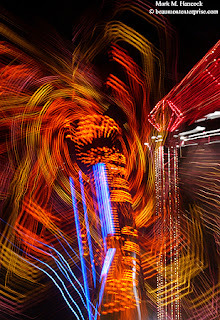 Visitors ride the Zipper during the annual Nederland Heritage Festival. 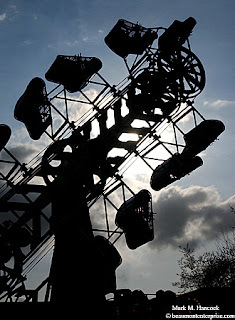 The festival continues through this weekend. 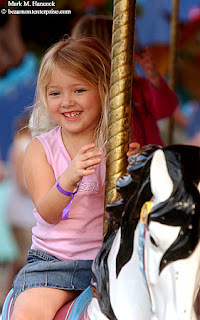 Willow Nash, 4, of Austin rides a carousel on the midway during the annual Nederland Heritage Festival. 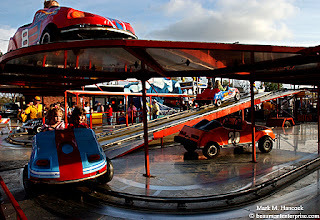 Children ride a car attraction on the midway during the annual Nederland Heritage Festival. 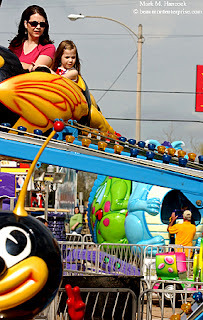 Cindy Brown and her daughter Kathryn Brown, 5, of Port Neches ride an attraction on the midway during the annual Nederland Heritage Festival. 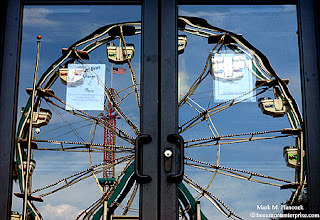 A Ferris wheel reflects on Central Middle School's door during the annual Nederland Heritage Festival. Kyle Shortes requests a professional critique of the images in this gallery of images as well as his portfolio. There is no comment section, so please e-mail the critique to him. There is no deadline. Kountze's Clayton Busby (No. 32, top) shoots over the top of Shallowater's Wess Dipprey (No. 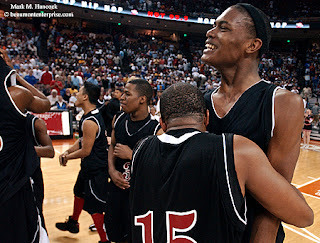 23, bottom) during the 2A Texas state high school championship basketball game in Austin on Saturday, March 10, 2007. Kountze's Fred Boykin (No. 15, bottom) fakes Shallowater's Wess Dipprey (No. 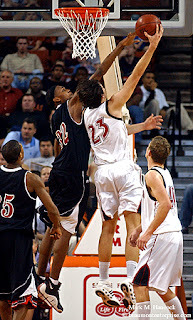 23, top) to get a shot at the hoop during the Texas state 2A high school championship basketball game. Kountze's Clayton Busby (No. 32, left) blocks the shot of Shallowater's Wess Dipprey (No. 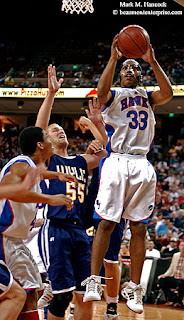 23 during the Texas state high school championship basketball game. Kountze Fred Boykin (No. 15, left) lifts Clayton Busby (No. 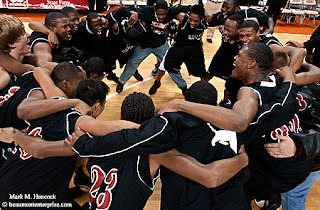 32) after they defeated Shallowater in the Texas state 2A high school championship basketball game. Kountze senior Cameron Powell (No. 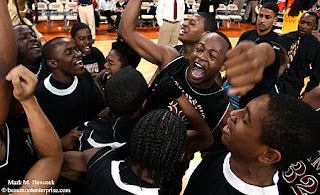 33, right of center) and the rest of the team celebrates after defeating Shallowater in the Texas state 2A high school championship basketball game. Kountze players celebrate after defeating Shallowater in the Texas state 2A high school championship basketball game in Austin. 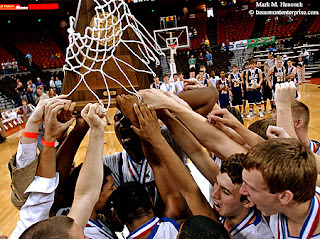 The Lions won the game 71-51 and became the 2A state champions. Abilene Wylie's Cory Davis (No. 55, right) pushes the ball into the face of Hardin-Jefferson's Trey Burrell (No. 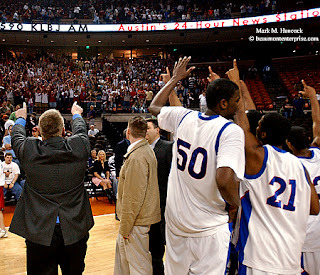 42, left) during the Texas state basketball championship in Austin on Saturday, March 10, 2007. Hardin-Jefferson's Trey Burrell (No. 42, right) looks at the goal while Abilene Wylie's Gary Edwards (No. 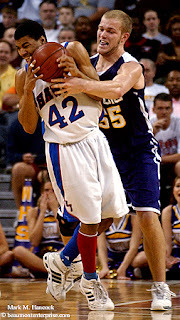 32, left) moves to steal during the 3A Texas state basketball championship. Hardin-Jefferson's Ryan Donahoe (No. 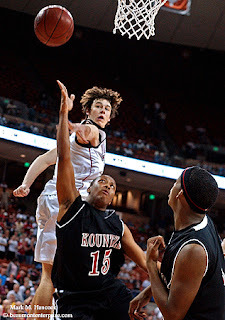 33, right) makes a jump shot during the Texas state basketball championship against Abilene Wylie. Hardin-Jefferson players celebrate their Texas state championship win over Abilene Wylie. The Hawks won the game 56-44. Hardin-Jefferson coach Todd Sutherland and players thank the fans after their Texas state championship win over Abilene Wylie. Hardin-Jefferson senior Duane Durley (left of center) holds the trophy and game net as players celebrate their Texas state championship win over Abilene Wylie in Austin. Ozen's Breon Johnson (No. 11, left) and Dallas' South Oak Cliff's Michael Berry (No. 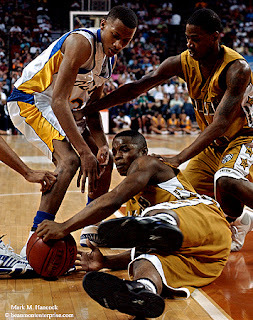 3, right) dive for a loose ball during the Texas state high school championship basketball game in Austin on Saturday, March 10, 2007. Ozen's Jacoby Joseph (No. 24, top) gets pushed in the back by Dallas South Oak Cliff's J'Mison Morgan (No. 25, right) as he tries to block the shot of Michael Berry (No. 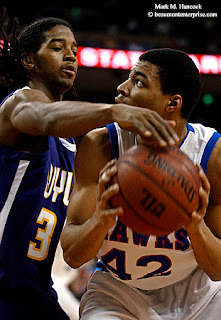 3, center) during the Texas state 4A high school championship basketball game. Ozen's Decarlos Frank (No. 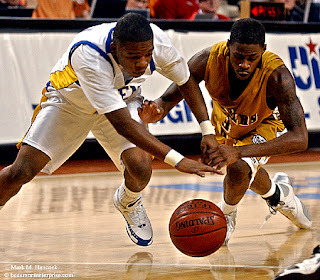 23, left) gets pushed back by Dallas South Oak Cliff's Michael Berry (No. 3, right) as Ty Shaw (No. 5, bottom) grabs a loose ball and calls for a time out during the Texas state 4A high school championship. 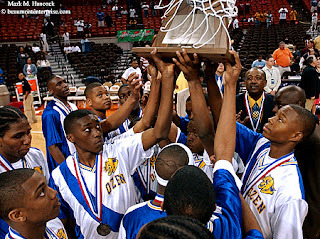 Ozen players hold up the state runner-up trophy after being defeated in the Texas state 4A high school championship basketball game. South Oak Cliff won the game for the third year in a row while Ozen took the silver medals. Ozen junior Kris Richard (No. 0, left) reflects as senior Ronnie Fontenot (No. 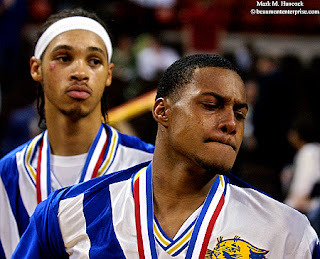 21, right) suffers after being defeated in the Texas state 4A high school championship basketball game. Ozen senior Ronnie Fontenot (No. 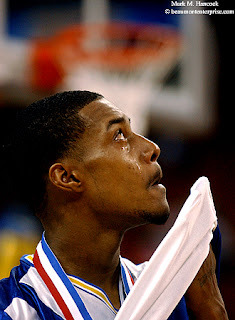 21, right) looks at the scoreboard as he suffers after being defeated in the Texas state 4A high school championship basketball game.